Konrad S Leader Photography has over 10 years of professional and reliable wedding photography experience. His conveniently located studio, on High Force Road in Middlesbrough, makes it easily accessible for people in the surrounding areas, including Yarm and Eaglescliffe. Close to the A66 and A19 exits, although the studio itself is based in Middlesbrough, the studio is easily reachable for everyone across the North East. I have extensive experience both nationally and internationally – I have photographed many local weddings here in Teesside but have also covered locations far and wide – even a wedding in Tallinn! With over a decade of professional photography experience under my belt, I can give you peace of mind that every single beautiful moment of your big day will be captured. I want you to enjoy your special day, without having to worry about photography. Although posed photos are part of the wedding collection, I also want to catch everything – every laugh, smile and tear throughout the day. But rest assured I’m not here to just simply take pictures. A Konrad S Leader Photography full day wedding collection starts from just £800. I’m not just there to photograph the ceremony itself – I will be present on your big day from the moment you start getting ready all the way up until the first dance, ensuring that no special moment goes unnoticed. I understand that some of the most precious moments on your wedding day can take place before or after the ceremony, so have no doubt that I’ll be there to photograph every single moment. I know that it’s imperative for your big day to run as smoothly as possible, and knowing you have someone to photograph every moment allows you to truly enjoy your day, without having to worry about somebody missing that perfect photo opportunity. Being married myself, I’m more than aware that there are many other things you’re likely to be stressing about on your big day, so choosing Konrad S Leader as your wedding photographer will help take a portion of that weight off your shoulders. You want your wedding day to be remembered for a long time – something that you can reminisce about and cherish in the years to come. That’s why my photography package includes hundreds of professional photographs captured throughout your big day, all the behind the scenes editing time, your specially edited digital photographs on a USB pen and an online gallery for you to share with your nearest and dearest. Beautifully printed albums also start from an additional £300 and a range of wall art is available too. 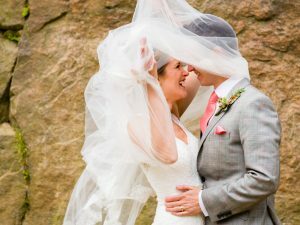 If you’re looking for an experienced, reliable and creative photographer in Yarm, who can tell the story of your wedding, I’d be more than happy to meet up with you to discuss how I can be a part of your special day. Your Konrad S Leader wedding photography package includes a complimentary engagement session, either at my studio or at a location of your choice, so that we can get to know each other and so I can really understand what you’re looking for from your wedding photographs. Feel free to get in touch with me through the contact form to find out if your wedding date is available and to discuss any queries you may have.